The sharp-eyed amongst my readers might have noticed a tiny Christmas flavour sneaking into Get Lippie this week, and you’d be right. I’m only posting about those presents that have genuinely caught my eye though, and yesterday’s giant lip balm, and today’s giant gingerbread man have both made me laugh so I thought they were worth a mention. Chock-full of shower-gel, body polish, soap and body butter all in the addictively spicy Ginger Sparkle scent, this comes in at £15 which is an absolute bargain in anyone’s book. They’re the usual Body Shop quality, and quite highly scented, so don’t buy this for anyone who doesn’t like ginger. This little beauty is the Masters of Malt Ginvent Calender which contains 24 3cl bottles of gin. I like gin. I like Christmas. And frankly, what could be better than the gift of gin EVERY DAY in the run up to Christmas? (Actually, I know what the answer to that is, and that would be the gift of champagne every day in the run up to Christmas, but I suspect we’d have to rob a bank for that one to happen). Anyway, this costs £79.95 AND I WANT ONE. In fact, I WANT TWO. Make it happen, people. Pleeeeeeeease? The Fine Print: PR sample, and a begging letter. I like to multi-task. I'm in absolute love with all scents ginger, and I just picked up the ginger sparkle hand cream and body wash on a whim the other day. It was one of THE BEST impulse buys I've ever had. Definitely for ginger lovers only, but man does it smell GOOD. And I can't believe it comes in such a good value gift set! The TBS set is adorable!! Too reasonable. The body shop is very expensive in my country. I'm not a fan of the smell of ginger, but to be honest I would still buy the giant gingerbread man just because I like the look of it!! 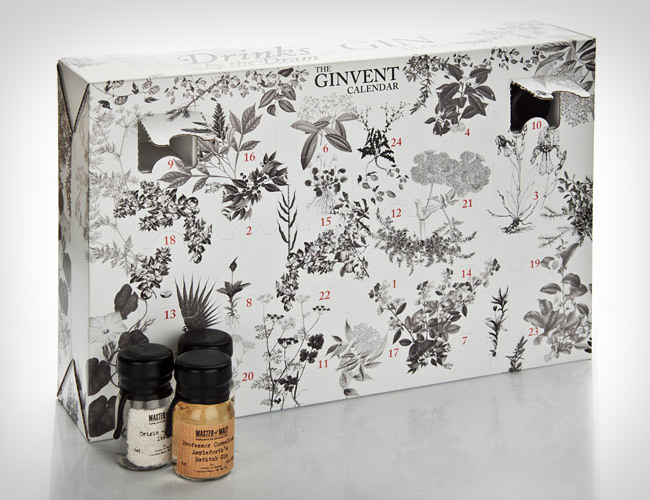 Talking about looks, don't you think this Ginvent Calendar looks like a Lancome product? Maybe it's just the font they used, but when I first looked at it I was sure it was from Lancome.